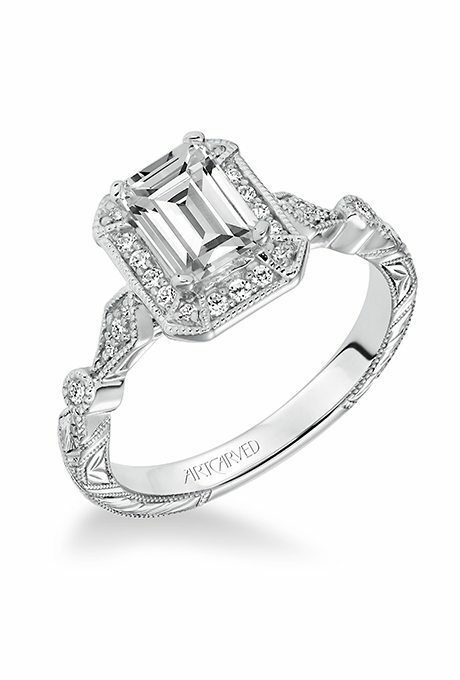 Looking to dawn a new ring after your 25-year vow renewal? 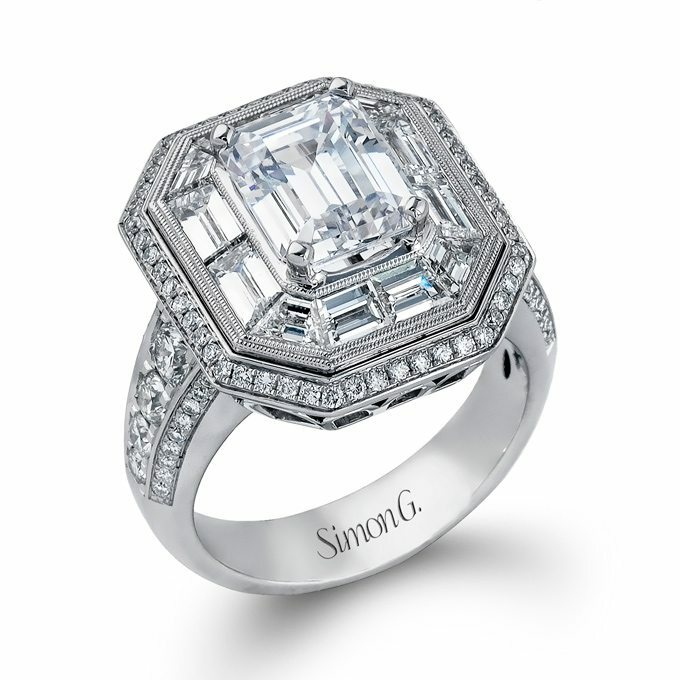 Why not try on an emerald-cut diamond? It’s much more unique than cushion or solitaire rings and these beauties will definitely leave a mark and a memory. Let’s take a peek at some beautiful designs, shall we? 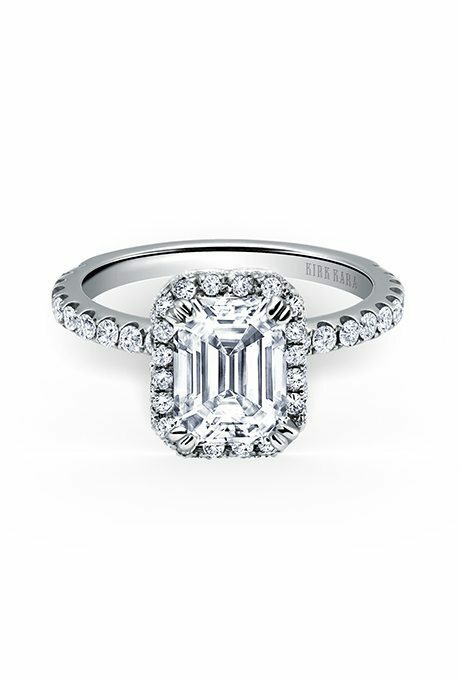 The emerald-cut diamond is on a pedestal in this design as it’s surrounded by smaller diamonds creating even more sparkle and shine. 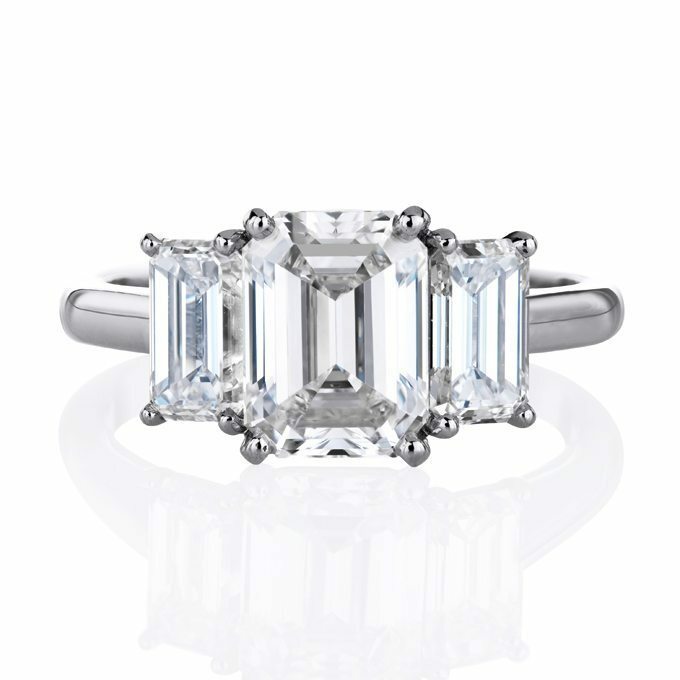 Similar to its predecessor, this diamond has a sharper finish and a more modern style. There’s an art decor-inspired adventure wrapped up in this design making it more unique than popular styles. 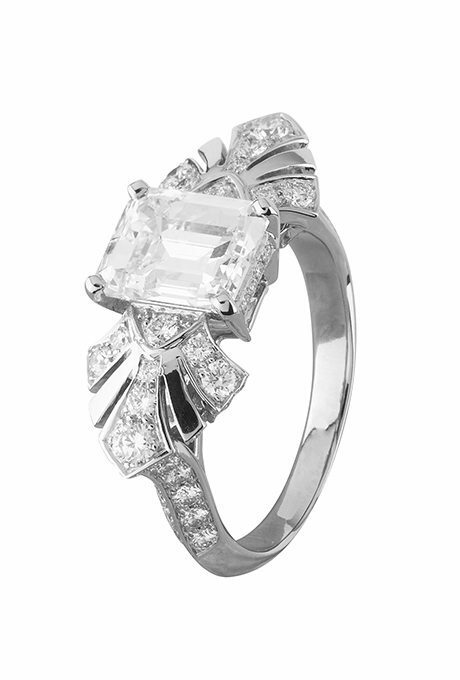 Here’s a vintage ring that combines a classic cut with a beautiful, feminine design. 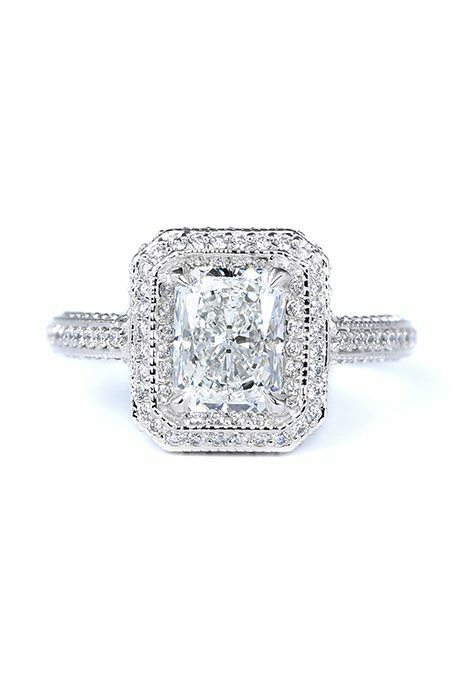 This ring is an absolute stunner, two rows of smaller diamonds creates so much more sparkle. 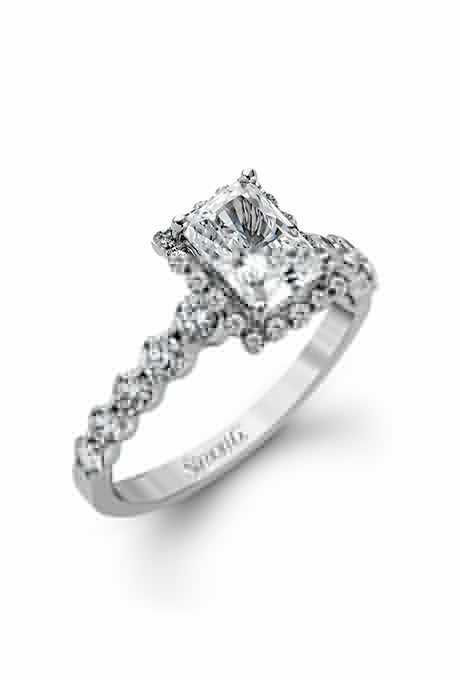 This is a more timeless style that blends well with any lady’s personal style and tastes. 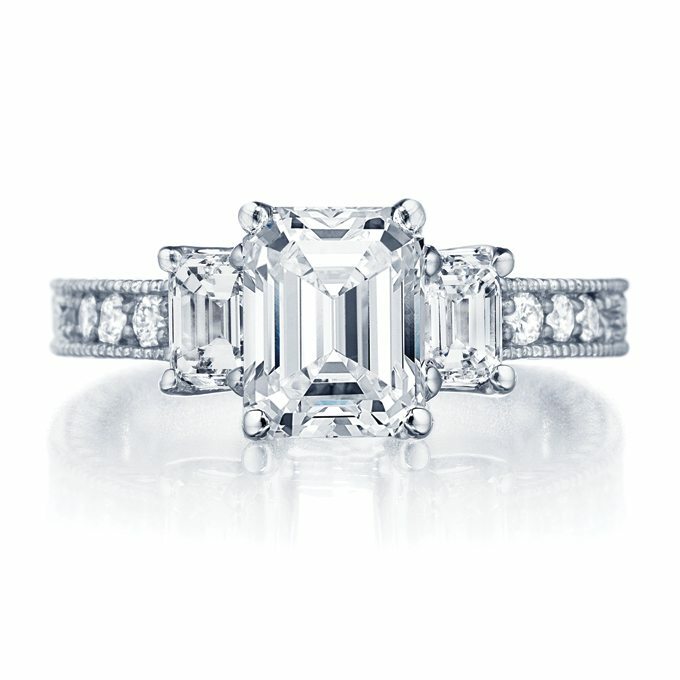 Big and bold, this ring can easily become a beautiful symbol of your love. Here’s a simple and sweet design, reminiscent of one of its predecessors, that will never lose it’s beauty as it will always stay timeless. 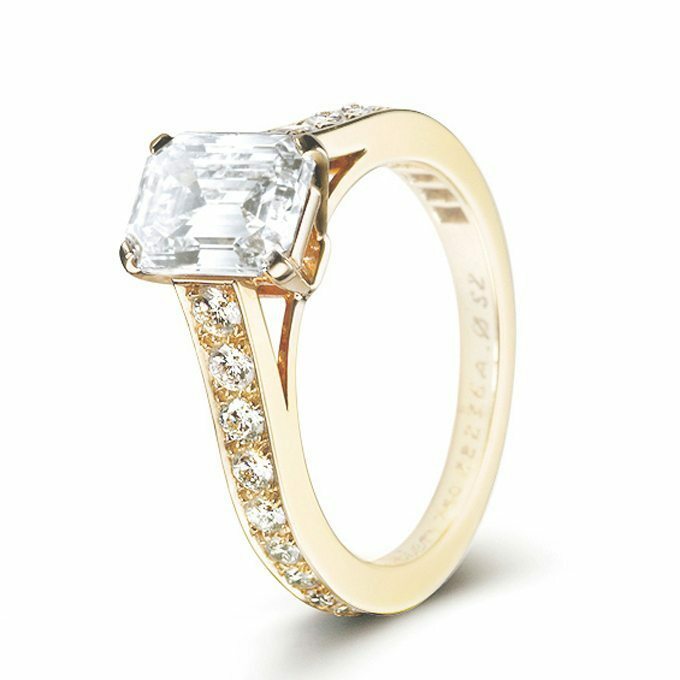 A sweet cut and a gorgeous placement, we love emerald-shaped diamond set in yellow gold too!